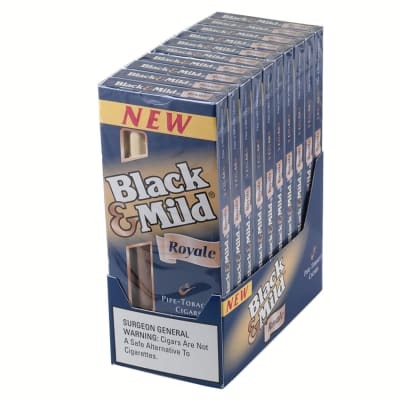 Black & Mild Royale cigars are machine-made using 100% pipe tobacco with a homogenized binder and wrapper. 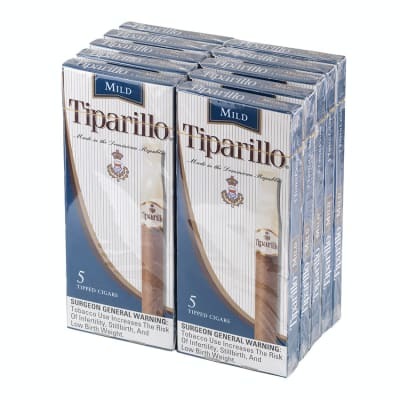 Known for their fragrant aroma, these cigarillos have a more refined tobacco mixture for an even smoother and richer taste. 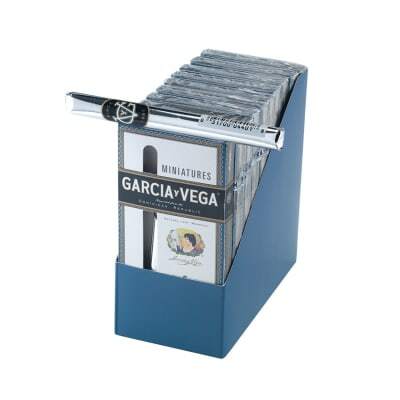 Presented in an economically-priced box of 10 5-packs. Order now. Very nice smooth flavor. 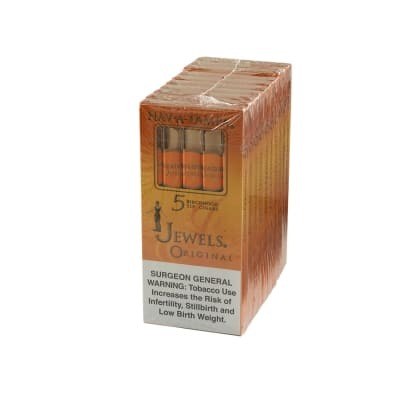 If you inhale and you like non-menthol cigarettes these are a good substitute. These babies have a very mild taste and creamy taste. 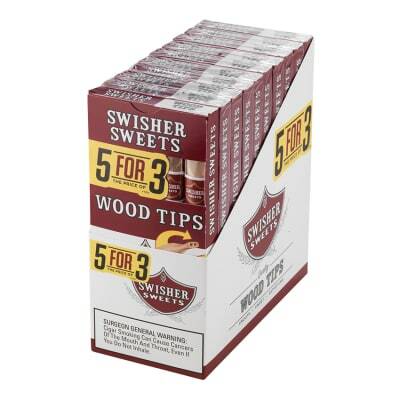 They actually taste quite similar to the old Black & Mild Creams, but better. The wood-tip Royales are heavenly! Can't say a lot except that it was the most engaging smoke outside of other types.